Clare Durst – Monhegan Associates, Inc. The Trustees of Monhegan Associates approved a no-drone policy on or above MAI land as a matter of safety and privacy. The 2018 Ecology Lecture series will be on 7/18, 7/25, and 8/18. Check them out here. So many MAI happenings this week! Evening Lecture by Barry Logan at the Monhegan School House! 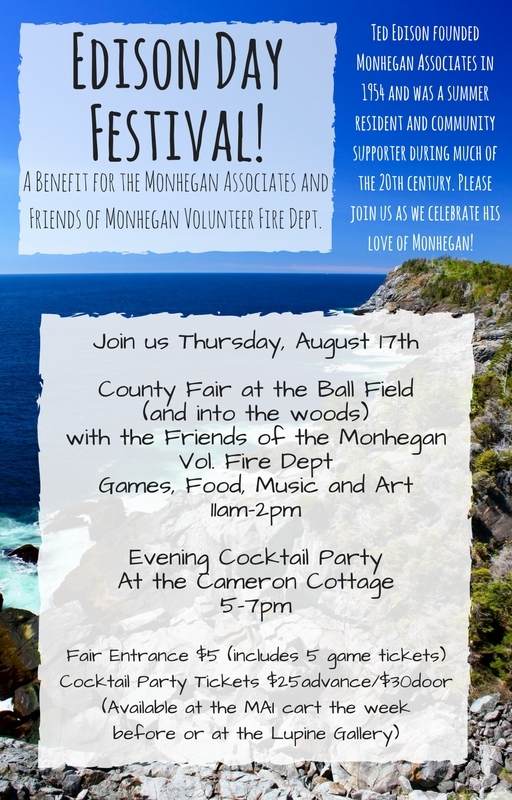 Be there at 7:30pm to hear about a pressing environmental issue in Monhegan’s Forests. County Fair 11am-2pm at the ball field! Fun and games for all ages! Evening Gala 5pm-7pm at the Cameron Cottage on Horns Hill! 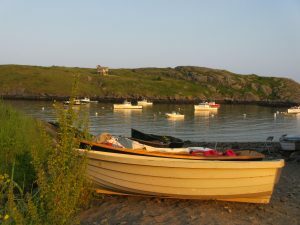 An evening of elegance and cocktails, hors devours, and a silent auction of fine Monhegan photography! Annual meeting of Membership, 7pm at the Monhegan School House. Join author, fruit explorer, orchardist, and cider maker David Buchanan for a discussion about early American apples and Maine’s hard cider revival. Every fall he drives the backroads of Maine, searching for bittersweet crabapples and abandoned heirloom trees. David will talk about his efforts to blend conservation with a small business, his search for unusual flavors, and his belief that local food, at its best, reflects our history and sense of place. See you there!